These images are from the The Office of Identity Collection project staged in Regina SK in the spring of 2009 and exhibited at The Art Gallery of Regina in the fall of 2010. The photograph is from the Citizenship ceremony and celebration; the painting in 10’ x 10’ digital imaging/acrylic/Canvas by mixed media artist Heather Cline. Artists in residence programs offer other artists and communities an opportunity to interact and collaborate. One popular format is for a gallery to offer an artist the chance to live and work in their town for a set period of time, supporting the venture with funding. This grants the artist the opportunity to work on their art free from ongoing financial worries, providing focus on their art practice. In return, artists often run workshops and provide a window to the community into their art practice. Usually there is an exhibition at the end of the year of the art created. Artist in residence programs are not limited to fine arts however, and can also involve writers, architects, dance, design and more. Residency programs are not a new phenomenon. Examples date back to the early 1900s. One Canadian example includes a variety of programs from Parks Canada. At one location, the program allows an artist to spend six weeks in Gros Morne National Park, exploring, photographing, sketching and participating in the park’s interpretive program. The program is designed to help connect people and the park through the arts as well as to draw attention to Gros Morne. Through artists’ participation, Parks Canada hopes to expand the way the park is seen by local residents, staff, visitors and audiences beyond park boundaries. 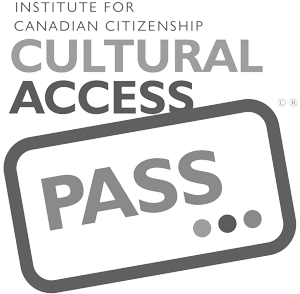 Kitchener, Ontario created Canada’s first municipal Artist-in-Residence program in Canada in 1995. The year-long program encourages conversation between artists and Kitchener residents and visitors, supports artistic innovation in contemporary art and offers workshops in neighbourhood community centres, lectures in the City Hall and exhibits in partnership with other agencies. One month of the residency year is reserved for the artist to use Kitchener City Hall’s Rotunda Gallery for exhibition. This project involves the artist taking up residence in a downtown Oshawa storefront located at 16 King Street East and recreating the atmosphere of a government passport office from the 1950s. “Passport” photos will be taken of participants and interviews conducted asking people for stories about the downtown Oshawa area. After the artists have collected material, the artist will combine it with images sourced from the RMG’s Thomas Bouckley collection of historical photographs. Then the artist will return to Saskatoon to paint a series of works specific to our city and the stories collected. The work created will then be shown in an exhibition at the RMG from Sept. 1 to Oct. 28, 2012. Be sure to visit the pop-up office downtown at 16 King Street East from 11 a.m. to 4 p.m. from October 24 to 28 to participate in this artist in residence program. Those who visit will be asked back to the location on Saturday, October 29, where a “Citizenship Ceremony” will be held and each participant will be given a “Passport” which is a small woodblock print of King Street. This unique project provides an opportunity to have fun, connect with artists and build on the existing history of downtown Oshawa.